Reiki practice helps you quickly feel better and function better. And when you quickly feel better and function better, you make better choices to help you — you guessed it — keep feeling better and functioning better. That’s how I introduce new students to daily Reiki self practice. We practice together and they go home to practice on their own. Maria Carolina arrived at class the next morning grinning like a Chesire cat. I couldn’t wait to hear what lay behind her vibrance and incredulity. 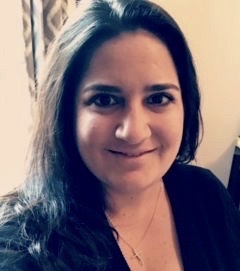 A few weeks later, as Maria Carolina introduced herself at our monthly JCC Reiki Clinic, she detailed what had been happening since she started practicing daily self Reiki, and gave permission to share her story, which illustrates what I say repeatedly: Reiki practice helps you feel better, and when you feel better, you function better, and make better choices that help you keep feeling better and functioning better. I’m still not watching TV. I think I’ll cancel my cable. You can’t imagine what a change this is. I have all the channels, plus Netflix, Hulu, etc. but I don’t want to turn it on. TV has been my constant companion since I was a kid basically raised by the maid, with a TV in my room. Now I have a one-bedroom apartment, and two TVs. But for the first time in my life, I don’t like the noise; I like silence. I’ve also been sleeping without medication since the night after our first training session. I’ve had issues either falling asleep or waking up at 2am and not being able to sleep again since I was a child, and that hasn’t happened since our first session. And although I haven’t used my mouth guard, I no longer wake up with the pain I would get in my face and jaw from grinding my teeth all night. Without noticing, I stopped taking the medication for binge eating. I checked with my doctor this week and he’ll check my progress the first month after cutting those medications. After that, if I am still fine – it should be ok. I also stopped the contraceptive. I have been thinking about that before since I didn’t like the side effects. I am eating healthy – fruits, almost no meat, lots of nuts, which is 100% out of my regular food options. The biggest change: I started going to the gym at 6:30 AM. Going to a gym was not at all in my plans. In fact, I had an attitude about people who go to the gym. And waking up at 5:30 AM to go to the gym was definitely not in my plans! I feel amazing and amazed by it. By the time I get to the office at 9 AM, I have a great sense of accomplishment! I have been more assertive when expressing myself or communicating what I am really feeling. What amazes me is that I haven’t tried to change anything. All those changes happened naturally, I didn’t make any conscious effort to change. I simply acknowledge the changes, and welcome them in my life. The changes I’ve made have started international chain reactions with family and friends. My mom was inspired to start practicing yoga. Two aunts have taken up Pilates. A friend in New Jersey has found her way back to her gym. She had not gone in six months even though she was paying! A friend in Chile practices yoga before work and share with me everyday, super sweet! A friend in Spain goes to the gym regularly, but she says every time she thinks about skipping her workout, she thinks of me, and how I wake up before 6am, and she makes the effort to go. I am very happy with my choice to learn Reiki self practice, and feel very grateful to be part of this Reiki family. It has been a life-changing experience. Do you want to quickly feel better and function better? You, too, could quickly feel better and function better. Here’s how. 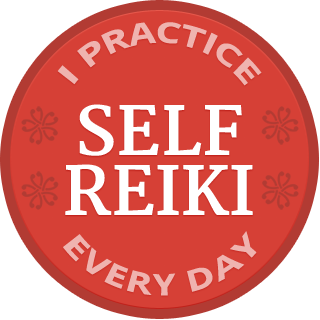 If you’re Reiki-trained and you’re not practicing daily self Reiki, today is a great day to start! Want some free support? Sign up for a month of short daily emails to inspire you to practice. Try it for even a week and please email me the changes you notice. If you haven’t learned to practice, read about my classes or read how to choose a Reiki teacher and class that’s good for you. 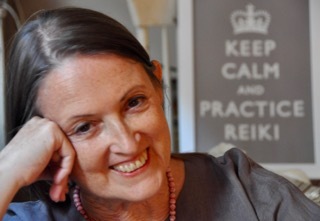 If you cannot find a class near you, consider Reiki Self Care Online. I do Reiki in bed when I wake up, for my husband and myself daily. Great way to start the day!